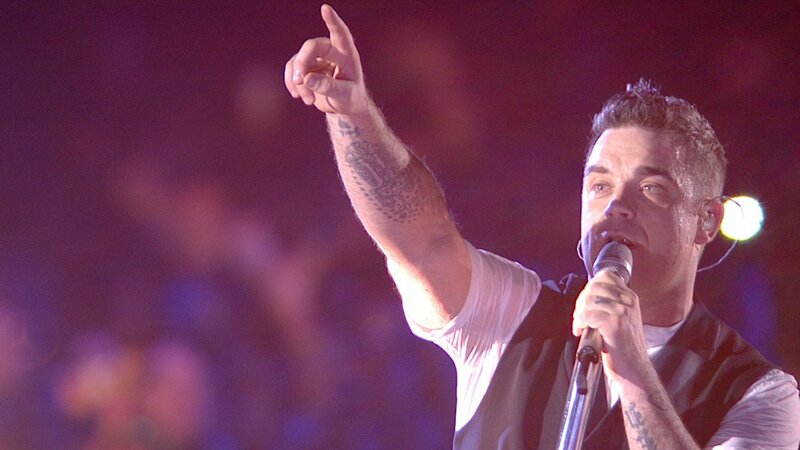 Done and Dusted have filmed Robbie Williams for the last decade and in such a variety of settings. From The Royal Albert Hall to the colossal 375, 000 audience gig at Knebworth, we have been there capturing these momentous events in his life. So it was with delight and honour that we were asked again to film this concert 'Take The Crown', his first since 2006. Filmed at the O2 Arena in London for Sky 1 Live, this concert was both challenging and exceptionally unique for Robbie and ourselves as it was staged in the round. This initially created challenges for the D&D team but ultimately produced a fantastic show both in the room and on screen.